The last of the three presidential debates has come and gone and the spin meisters are going full speed trying to convince voters that their candidate won. Frankly, Scarlett, I don’t give a damn who won last night’s debate. Most pundits have called it a draw. I would give the edge to Mitt Romney on substance and style. He was certainly more “presidential” than a grinning, condescending, boorish President Obama. Of Course, there are still two more weeks of furious campaigning ahead and the attack dogs will be off their leashes and barking as vociferously as ever. So what is one to make of the 2012 presidential race? I can’t recall a more negative campaign in my lifetime. The most disconcerting thing to me is the insertion of characteristically malicious Chicago political tactics into the race for our nation’s highest office. In Chicago, where I spent a majority of my professional journalism career, the norm in political battles is to launch personal attacks and to demonize your opponent at every opportunity. Tune in to the Starz TV show “Boss” and you will see what I mean. The political goon squad in the White House is a throwback to the original Mayor Daley–the one who pushed JFK over the top in 1960 and who periodically raised the dead so they could vote. Mayor Daley knew how to win elections. Buy votes by giving people free “stuff” and make your opponent appear to be some kind of reprobate. The gang of political operatives who surround Obama are following the same strategy. To the credit of the majority of Americans, however, it is not working. Most Americans do not live in Chicago or Cook County and most do not like the dirty, in-your-face kind of politics that got a succession of Chicago mayors elected. You can argue who won last night’s debate, who delivered the most zingers, etc. But you cannot argue with Mitt Romney’s steady climb in the collective presidential campaign polls. I think Americans are finally seeing past the veneer of Obama’s “messiah complex” and finding that this man, who was less prepared for the job than any other president in our history, is simply in over his head. Not only does he not understand how the U.S. economy works, he is fundamentally opposed to capitalism–though you will never get him to admit it publicly. His denials during last night’s debate to the contrary, Obama DID go on an apology tour in 2009 after his election. As N. Y. Yankee’s manager Casey Stengel used to say: “You can look it up.” Fact checkers have already run clips of Obama apologizing in Egypt, France, and Latin America. 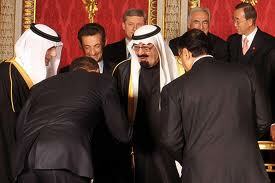 And of course, who can forget the awful display of cow towing when an obsequious Obama bowed before the Saudi king. I thought he was going to kiss the king’s ring. But more troubling is the fact that this is a president who believes the federal government has all the solutions to our fiscal woes, when in fact, the federal government is more often the cause of our economic problems. Or better yet. Start packing. It’s time to put the adults back in the White House.